If you've had even the quickest glance at my blog or some of my posts, you will know that I love candles! They are just my thing. I wanted to find out a bit more about the science surrounding candle making, which fragrance to use with which wax etc. I spent a few days having a look online at candle courses in the Glasgow area - there's surprisingly very little on offer! 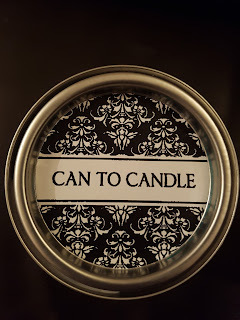 One that I did find though was with a company called Can to Candle in Edinburgh. 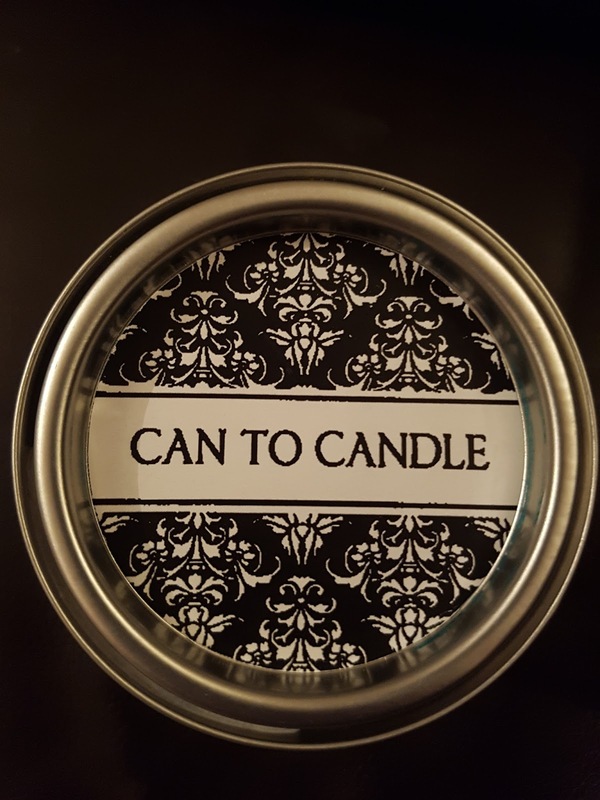 Can to Candle is run by a beautiful, bubbly lady called Kerry who has an amazing Irish accent! Kerry creates incredible hand poured luxury scented candles made from soy wax. Kerry's inspiration for her candle-making came from Pinterest, and her first creations were made using Tate & Lyle tins. Although most of her candles now come in branded tins, the Tate & Lyle tins still remain part of her core range. Kerry's background in interior design can be seen in the way she designs her candles, covering her tins with the likes of denim and paint sample charts is both creative and unique. My sister and I travelled through to the quaint village of Temple, Midlothian to take part in the course, there were 7 other ladies taking part too. The effort Kerry went to really speaks volumes of her passion for what she does, each person taking part had a work space set up at her huge wooden dining table, she had set out our can, a wick with a sustainer and a white bag with our name written on it. In the middle of the table was a vast array of fragrance oils, in various different scents and a bowl filled with cinnamon fire lighters, whose scent wafted around the kitchen, creating a warm, festive feel. Being someone who is really self-conscious in groups of people, particularly people I don't know, I thought it was a great idea when Kerry suggest we all introduce ourselves and explain why we wanted to take part in the course, what a great way to break the ice. She then went on to explain what goes into making a candle, sourcing the correct products and the difference between essential oils and fragrance oils. 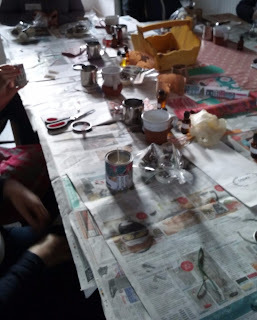 We were then able to choose the scent we wanted for our candles and start making them. As we were all busy making our candles, the smell of freshly made scones started to waft it's way through the kitchen! That together with the smell from all our our candles made Kerry's kitchen smell like Christmas day! 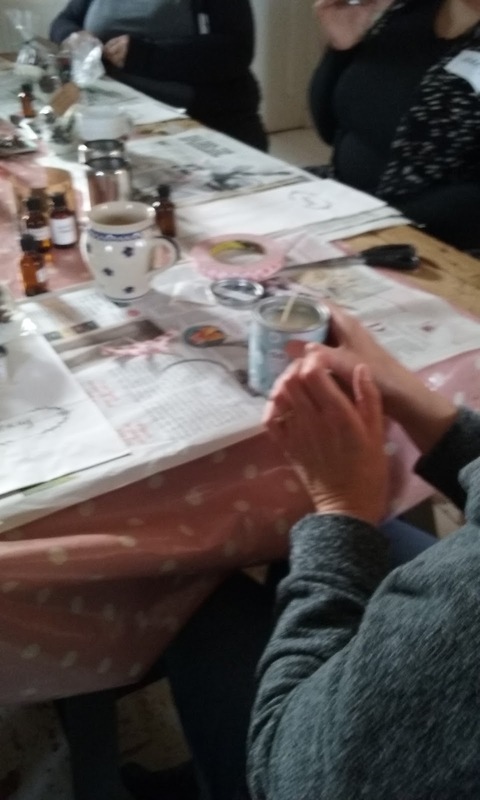 While our candles were setting, we were treated to tea/coffee and the tastiest homemade scones - seriously there's no end to this lady's talents! Kerry then went on to talk about the importance of safety labelling, and gave us lots of advice about new regulations regarding how to correctly label your candles. She then passed round the bowl of fire lighters and allowed us to bag some up and take them home. What impressed me most about Kerry was her knowledge, even whilst melting a huge pot of wax on her hob, baking gorgeous homemade scones and keeping an eye on what we were all doing, she was still able to provide us with lots of useful information, advice and tips and made it look absolutely effortless too. She's really interested in everyone's opinion, she let us all smell one of her new scents to see what we thought of it, and she also let us see some of the things she's working on too. I felt like my opinion mattered to her. The cost of the course per person is £40 which I think is fantastic value for money given everything you get. I think it would definitely make a great gift for Christmas. Read more about the candle I created on my #wickoftheweek post. 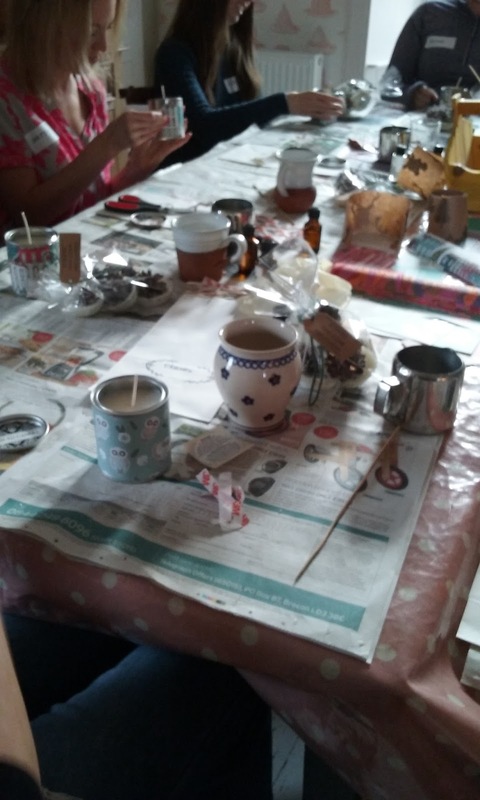 I hope you've enjoyed reading about my experience at the Can to Candle workshop, I'd absolutely recommend Kerry's course to anyone, no matter the age.